What should I wear? Where do my kids go? We understand the many thoughts that can come from visiting a new church. We want you to feel right at home when you visit. Or maybe you’ve been several times but you’d like to ask a few questions, tour the property, or connect with some staff and leaders. 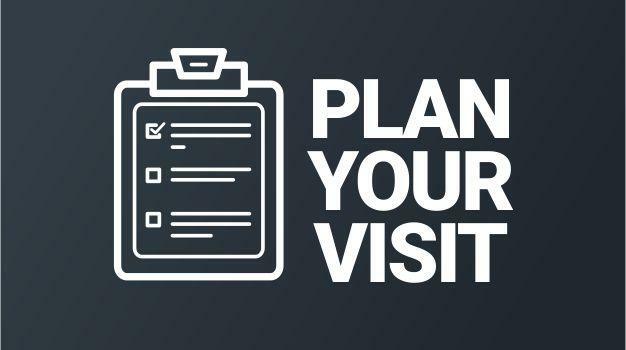 We invite you to schedule your visit right now. We can’t wait to meet you. WHAT TYPE OF CHURCH IS Christ’s Church? We are a non-denominational church all about helping people experience new life in Jesus. Our mission is redeeming us back to God. We want Sunday to be the highlight of the week for your entire family. We are a life-giving church in Mason, OH, with exciting kids’ programs, energetic worship, biblical teaching, and genuine connections! We meet every Sunday morning at 9:00 am and 10:30 am at 5165 Western Row Rd., Mason, OH. You can also check us out for the first time with our online CC Live services which start at 8:50 and 10:20 am every Sunday. Relax—you can wear whatever you want. When you arrive at our building, you will head to the Door 1 where you’ll be greeted with a friendly smile from one of our greeters. We have some refreshments for you to enjoy on us. If you have kids, you can go to the kids’ starting point and check them into CC Kids where they will have a blast. There will be a 5-minute countdown to let you know when the service will start, so you can be sure to get your seat before the service begins! WHAT CAN YOU EXPECT IN THE WORSHIP EXPERIENCE? 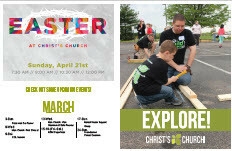 Christ’s Church is an engaging, energetic, life-giving atmosphere geared toward building up your entire family. Christ’s Church is full of life, creativity, love, and encouragement. There is a live band that will lead in music followed by a Jesus-centered message that will inspire you. The entire service lasts about 1 hour and 10 minutes. Our theme this year is getting back to the basics and is all about understanding the foundations of our faith. At Christ’s Church we love kids! From infants to elementary age, we have done our best to help your children have a blast while learning about Jesus. We have created a fun and safe environment for them by implementing our kids’ check-in and check-out system. Christ’s Church also offers a special place designed specifically for individuals with special needs ranging in age from birth to adult. On Sunday mornings, we offer “Access” classes during both our 9:00 am and 10:30 am services, and we also provide a “buddy” system to help accommodate the desire for greater inclusion. Students in grades 5-8 have one high-energy gathering every Sunday morning at 10:30 am in the gym. It’s a fast-moving experience that includes student-led worship, crazy games and competition, and a message designed just for middle school students. At 10:30 am every Sunday morning, we have a large-group worship experience that is held in the basement for all high school students (grades 9-12). This time of worship features a student-led band, crazy games and contests, age-appropriate activities, and messages written with them in mind.